technology | How can I recycle this? How can I reuse or recycle an old toaster oven? My wife just bought a new toaster oven. The previous one had problems in her eyes, because the spring-loaded door didn’t work as smoothly as when new, and the unit, after three years, had a couple unsightliness issues. The door is not much of a problem, as far as I’m concerned. It does stay shut reliably when you shut it. So, okay, now I’ve got this little heating unit that I can take to my shop. It seems the controls function as-new. Thermostat system works. Heats up to 450* F.
Got any other ideas as to how it can come in handy? 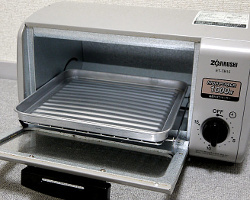 Toaster ovens aren’t very common in the UK but they seem to be mini table-top electric ovens – the bread is put on a horizontal tray for toasting but they can be used for other things too (much like any electric oven). First things first, since it works well, do consider passing it on to someone is less concerned about the door/aesthetic issues — if your local thrift/op/charity shop doesn’t accept electronics, you could pass it onto someone else directly through your local Freecycle/Freegle group. If that ship has sailed though and it’s needed to be removed from culinary service, it may still be ripe for random crafting reuse. It doesn’t go hot enough for things like clay pottering firing or enamelling (the latter of which is a shame because perhaps he could have fixed Su’s casserole pan… ;) ) but would be fine for the things Joel suggests or other low temperature crafts such as Fimo or the recycled equivalent of Shrinky Dinks (there seems to be a new trend for making pedants from plastic number 6 – (not expanded) polystyrene – cups). Some gardeners recommend always starting seeds off in a sterile potting mix/seed compost which can be bought or made at home – Alys Fowler recommends a couple of minutes in the microwave or popping it in the oven for an hour at 80C/175F – the toaster oven would work for that. Any other suggestions for Joel – how he could pass it on or reuse/recycle it for other purposes? How can I recycled/pass on an old, working electric oven? We have 4-year-old electric oven in good working order which we would like to donate to a Charity. Any ideas? We’ll actually in a similar position soon – our (15+ year old) oven works for general cooking but not for the precise/high temperatures we need from it for baking etc, so we’ll be getting a new one in the new year. It might be hard to find a charity that would accept an oven – due to both its size and for safety reasons. Our plan was to offer it on Freecycle/Freegle, or via our local Gumtree (we’ve had more success with the latter) – passing it directly on to someone who could use it rather than going through a charity. If you definitely want to pass it through a charity though, my only suggestion would be checking with any local charities that provide furniture or household items for people moving on from homelessness or other precarious situations. I don’t know if they’d take it but Emmaus train formerly homeless people to test & refurbish household items before selling them on, so they might be in a position to take, test and pass it/sell it on. Does anyone else have any other suggestions for how it can be passed on? 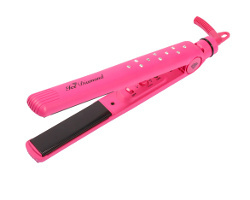 How can I reuse or recycle hair straighters/flat irons? I’ve had two straighteners/flat irons (to straighten hair) die on me. Is there a way to recycle these other than tossing them? As a minimum, they should be collected for electronic/electric waste recycling – either at your local tip/”household waste recycling centre” or through an in-store take-back scheme (they take your old item when you buy something new from them) – all shops which sell small electrical goods (including phone shops & department stores) should in theory have a WEEE recycling scheme. Things taken for WEEE recycling are stripped down and their metals reclaimed, so it is worth doing. But are there any reuses for them? As anyone who knows me/has seen a photo of me will know, my frizzy head is not exactly familiar with hair straighteners so I’m not sure I know enough about how they work to be able to suggest other reuses. Anyone got any ideas? 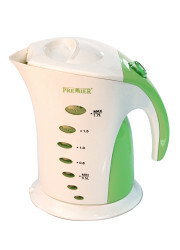 How can I reuse or recycle an electric kettle? We’ve got two old electric kettles in our garage, one works but is very grimy, the other doesn’t work, not sure why. Can we do anything with them? 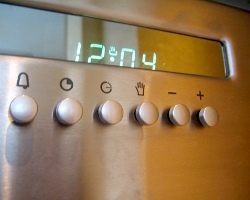 Electric kettles are covered under the WEEE Directive so in theory, you should be able to send them back to their manufacturer for recycling. In practise though, this isn’t always easy to do – but most, if not all, councils in the UK have some provision for small appliance recycling at household waste centres. Some even do periodic doorstep collection of electrical items so do check on your local situation. It might be worth seeing if the dirty working one can be rescued though – it might just need some elbow grease and a good de-scaling. If you don’t have a use for it, someone on your local Freecycle/Freegle group might be able to use it either for general kettle use (if they’re happy with how it cleans up) or for non-food purposes. Fun/pretty old kettles – or vintage-style new ones – might also have some appeal as a quirky planter. Any other reuses or better ways to recycle them? 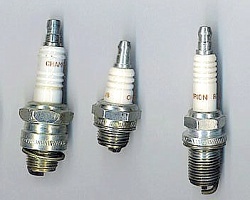 How can I reuse or recycle spark plugs? Is there any use for old sparkplugs? As someone who barely knows what a sparkplug looks like let alone does, I’m not really in a position to answer this question. Google tells me that they can be cleaned up again but it’s not recommended (although disclaimer: all the people talking about it are performance/engine obsessives, so they might be pushing for more than the average person). Does anyone else know if they can be revamp and reused? Or what about other reuses for them? Anyone incorporated them into any other creations? And what about recycling? Can they be recycled for their component parts and if so, where/how? A. L. on How can I reuse or recycle a CD rack? How can I reuse or recycle mussel shells?